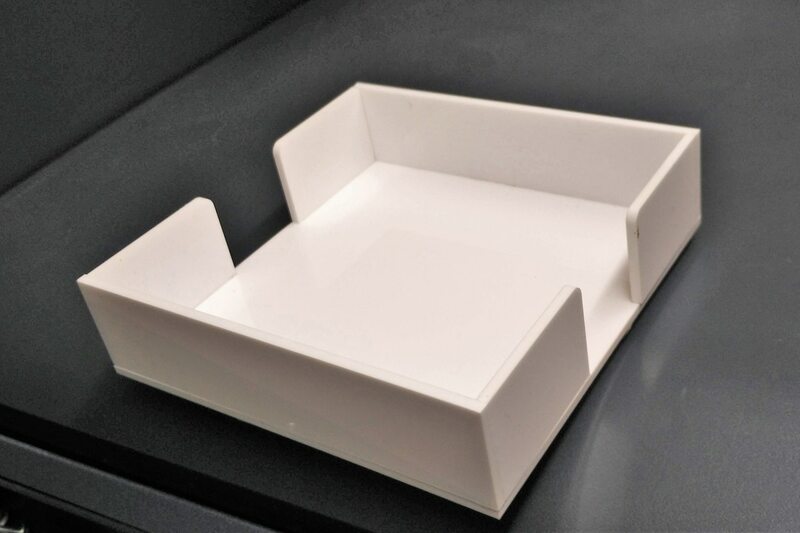 At Orchid Digitals, Pune, we have a Yotta UV printer which can directly print on rigid objects. Using this ability, one of the products that we create for our customers on a pretty regular basis, are custom printed coasters. 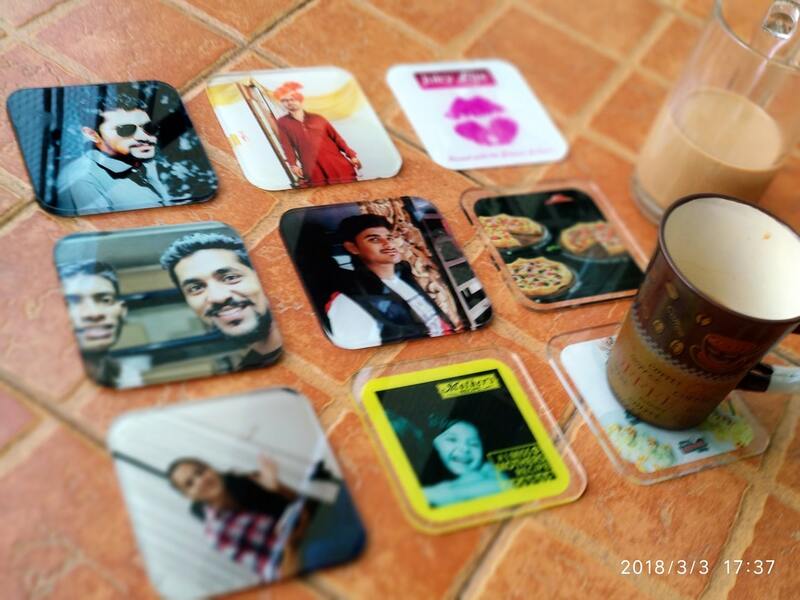 Personalized coasters bearing your loved ones image, your company’s logo or any design that you provide, make for an inimitable present. 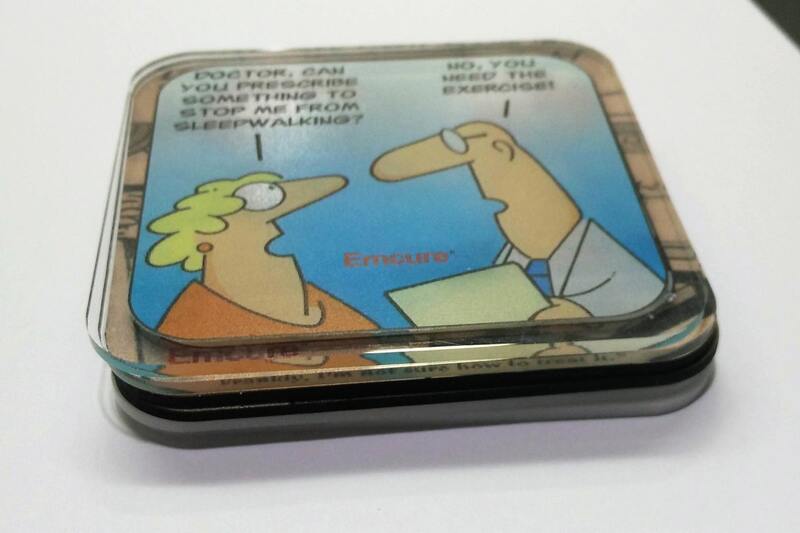 Personalized tea coasters bearing your company’s logo or product photographs make for a great marketing gift. They are always on or close to your client’s desk. The photos / logos help in instant recall of your company. They are not very expensive and most of all, once you hand them over, they make for great ice breakers and conversation starters. But apart from the commercial angle, custom printed coasters make for a fabulous gifting idea for friends or family members. Image how cool it would be to have a set of coasters on your dining table or work desk, bearing close up photos of your kids and spouse. 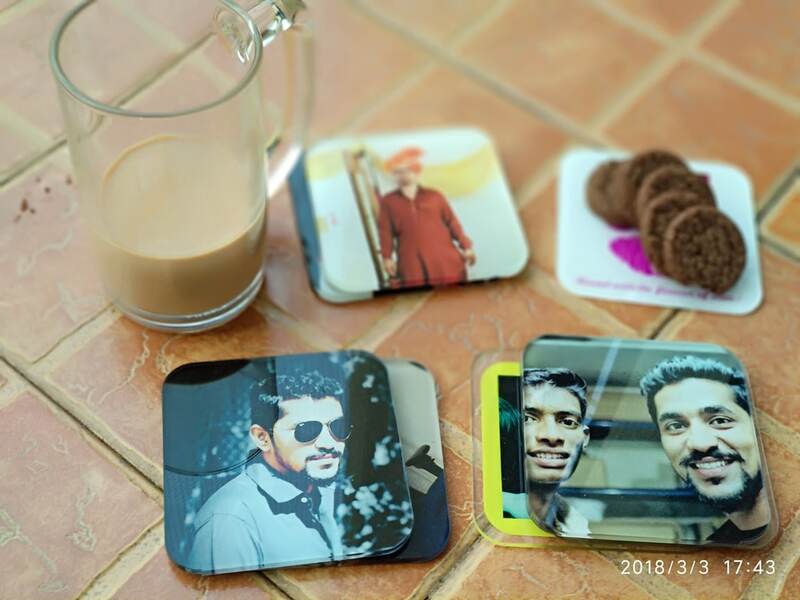 At Orchid, we create tea coasters out of MDF (medium density fibreboard) which is a sort of wood pressed into thin sheets. 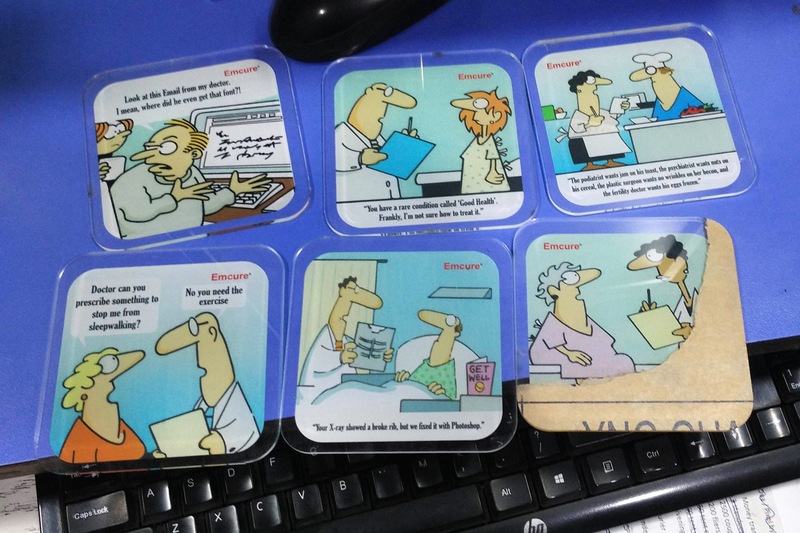 We also use white and clear acrylic to create coasters having a glass like feel. These sheets are first cut into 4 inch squares with rounded corners. Our laser cutters cut out the coaster blanks with a very precise finish. While most coasters are square, we can also produce nonlinear shapes like circles and triangles. The next step is pretty simple. 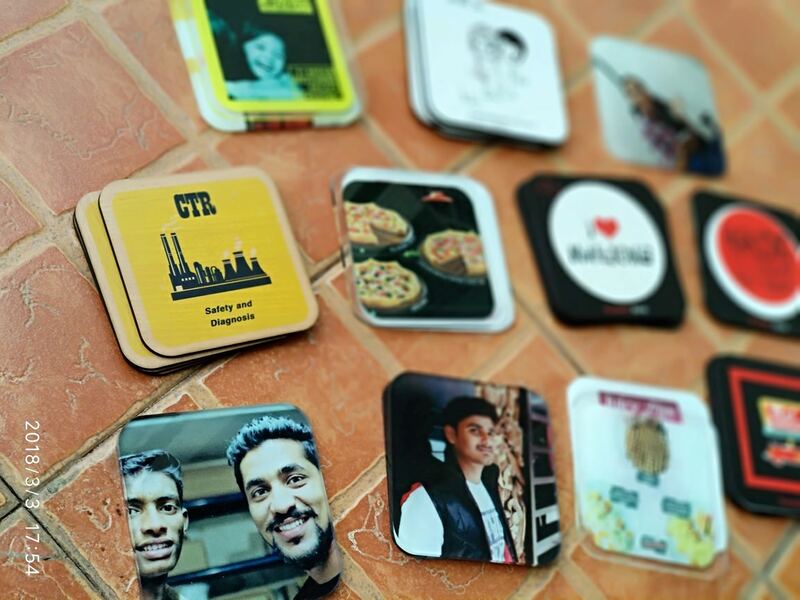 We push the coaster blanks into our UV printer and viola, your very own, personalized coasters are ready. 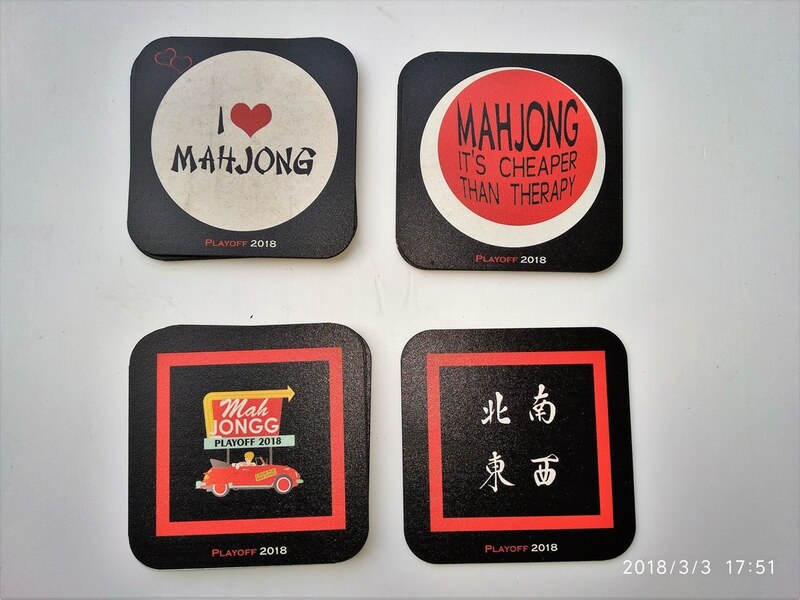 While the white acrylic and wooden coasters get printed on the top surface, the clear acrylic coasters get printed from beneath (the lower surface). This give a beautiful back painted glass effect to the coaster.